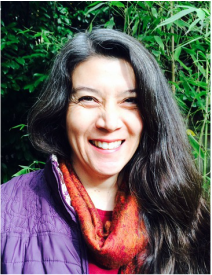 Kathryn has practiced Dayan Qigong since 1993, studying under Master Hui Liu of Wen Wu School, El Cerrito, CA. In 1999, she received her certification for Dayan Qigong Set one and she traveled to Beijing, China with her teachers to meet Grand Master Yang Mei Jun. Grand Master Yang Mei Jun sanctioned her teaching. She maintains her teaching certification of Dayan Qigong Set 1 with Wen Wu School. She completed Dayan Qigong Set 2 with Master Hui Liu and Erlene Chiang, Ph.D., DAOM, LAc, in 1999. Kathryn completed her Level 1 Spacial Dynamics with Kim Le Bas of Spacial Dynamics Pacific in 2016. 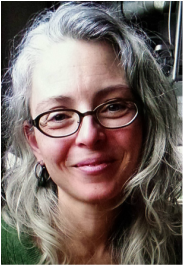 Kathryn combines her practice of moving subtle energy and her skill in architectural design and planning to create generative design that is harmonious and healing. She enjoys designing wellness centers and children's places. Her firm is autopoiesis. 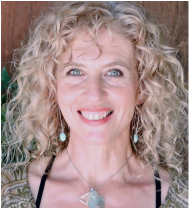 In 2015, she created Essential Qi for workshops and trainings combining qigong with other healing modalities and essential oils to enhance transformation and harmony. "My own journey to wellness has reinforced my desire to help others feel and access their 'qi' and to begin the personal commitment to a life of well being. Optimal health and physical performance change throughout life. I began my studies in earnest because I was suffering from the severe effects of having shingles in my brain stem. My Dayan Qigong practice has enhanced my physical and spiritual connection with living systems. I enjoy working with individuals to access their inner strength and transform their physical body to harmonize with the life forces. I look forward to meeting you where you are and sharing with you an ancient practice that will change your life, for your benefit and for those around you. As long as you maintain your practice, it will continue to take care of you!" Ancient Taoist saying, "One who practices the Tao will achieve Tao." 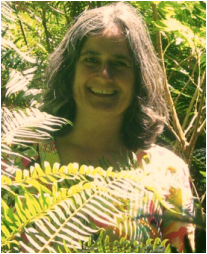 Lita began studying Wild Goose Qigong in Portland in 1999 from Katy Langstaff and Ann Baker. After practicing for only a few months, she felt immediate health benefits including relief from chronic back pain and digestive problems. She continued to study and practice Wild Goose Qigong. In 2005, she completed her First Set Teacher Training Certificate from Wen Wu School, El Cerrito, CA under the instruction of Master Hui Liu and Dr. Erlene Chiang. She also completed her Second Set training with Master Liu and is currently completing her Second Set Teacher Training certification. 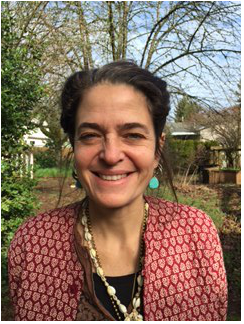 She has been teaching Wild Goose Qigong in Portland since 2004 and maintains her teaching certificate from Wen Wu School. In addition, Lita has also studied qigong under Master Zhongxian Wu since 2010. She has also studied the Jin Jing Gong lineage with Drs. Heiner Fruehauf, Laurie Regan, Tamara Staudt, and William Frazier since 2013 at the National University of Natural Medicine, where she completed her Doctor of Science of Oriental Medicine. "I am continually amazed and humbled by this subtle yet profound practice. Wild Goose Qigong has brought me gifts that I never thought possible. It has brought healing to my body, clarity to my mind, and connection to spirit. It keeps me grounded in times of change and uncertainty. I am grateful to my many teachers--Katy Langstaff, Ann Baker, and Master Hui Liu--and to Grandmaster Yang for sharing this form with the world. I am equally grateful to my fellow practitioners and students who have also been my teachers and who inspire me with their courage and dedication. It is a wonderful gift to be able to teach this form. I am honored to share it with others." Francine has practiced Dayan Qigong since 2005. After an injury made it difficult to continue her Yoga practice, she intended to learn Wild Goose Qigong as a form of physical therapy. "The experience of moving Qi caught my attention immediately. The pursuit of vibrant health despite numerous physical ailments led me to look closely at the principles of Qigong. It was apparent that the potential for deep healing existed within this ancient modality." 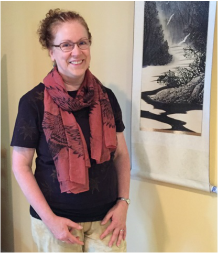 The opportunity to become a Teacher inspired her to make a deeper commitment to the study of the form and theories of Chinese Medicine. Francine became a Certified Dayan Qigong Instructor in 2015 after studying with Grandmaster Hui Liu at Wen Wu School in El Cerrito, CA. "Wild Goose Qigong entered my life in 2007. I was resting in the sun on a green lawn, when a couple started the movements, which enchanted and mesmerized me. I couldn't take my eyes from the Form, that reflected heavenly music and healthy vitality. I joined them and was led to Katy Langstaff and Lita Buttolph-master teachers from Portland. I am forever grateful for the day we met. Wild Goose Qigong is like nothing else--helping me to anchor and be rooted in life. I fell passionately in love with the Form. Katy's and Lita's leadership, caring and warm personalities, deep wisdom and never-ending support are pivotal gems in our community. As a Dayan Qigong Instructor, I am incredibly honored to support our students. My prayer is that the Form will become a bridge of transformation and support on all levels for you as it is for me." "What first called me to qigong was three-fold - an interest in subtle energies, a desire to maintain and improve health, and a passion for body awareness. I've always been an active person, from climbing trees and playing sports to martial arts and skydiving. All of these activities require an awareness of the body and limbs, a feel for your center of gravity, and a solid foundation. Through qigong, I have seen all of these improve dramatically, plus an array of other benefits I hadn't anticipated - improved spatial awareness, a more calm and focused mind, and introduction to a community of some of the most kind and compassionate people I've ever met. For all of these and more, I am eternally grateful." ​​Jeff has been teaching people how to sense and move their bodies since 2001, when he first became a skydiving instructor. To this day, he continues to teach skydiving and advanced bodyflight to students from all over the world. He also guides all-day body awareness camps to help his flying students better tune into their own physical presence. Jeff began practicing qigong in 2011, and he completed the teacher training in 2015 at Wen Wu School in California. "To work with the discrepancies and rending tensions between my own wild energies and the grid-lined technological reality of the modern world, as a young person I began a deep practice of Yang Style Tai Chi Ch'uan and several Qigong animal forms with teacher Michael Phillips in 1991. Practicing internal arts provided me with a very reliable way to stay engaged with the natural world inside and out of my own body, as I transitioned from growing up in the desert of Sonora into living and working in the city. It also gave me a way to physically withstand and make room for the powerful energies that move through my body. In 1997, I first studied Wild Goose Qigong with my wonderful teacher Ann Baker here in Portland. Learning and practicing the first set of Dayan Qigong gave me an approach to my own body as a whole smaller earth, a quiet and energetic discipline, subtle and powerful medicine for balancing natural flows. Master Yang, may her name be praised, is a grand inspiration to me, as are her students and my other teachers Hui Liu, Kathryn Langstaff and Lita Buttolph. While the personal benefits to my own and others' health are undeniable, Qigong helps to restore vitality to all beings, human and non human alike, around whom the practice is done. If I may I would like to try to share some of the gifts I have been given through this form with others, and may they be received on the path of the return. I look forward to practicing together!​"
"In the spring of 2010, facing health issues of heart, lung, sleep, digestion, anxiety, and the pressures of being full-time caretaker for my partner with dementia, I fortuitously stepped into the first season of Wild Goose QiGong practice at my place of refuge, the Lan Su Chinese Garden. Through the 6-month seasons in 2010 and 2011, I joined the "flock" and fine teachers Katy and Lita, entering into a practice which gave me hope and integration, calm and joy and endurance, and drew me into a deep desire and commitment to continue practice and study. From autumn of 2011 to the present I am learning and working with our four inspiring and gifted teachers, Katy, Lita, Fran, and Tatiana, grateful for the invitation to continue deepening my own practice and to work with them offering assistance as the occasion arises. Wild Goose QiGong and flying with our flock has given me a beneficial and comprehensive practice which merges and nourishes my spirit, emotions, mind, and physical well-being. All with enormous gratitude and ever-improving health!" I started Wild Goose Qigong classes with Lita & Katy in 2010, on a whim, after a friend made a suggestion to try it as an alternative to yoga. (Although I faithfully attended yoga classes for almost 20 years, I'd developed some body structure issues after a series of injuries and kept re-injuring myself, even doing level 1 poses. So a change was indicated!) I was instantly in love with the graceful, non-stressful, energizing movements of this ancient form AND felt such a beautiful affinity with the community spirit of our flock. Qigong has been one of my spiritual anchors, seeing me through some major life transitions -- I can envision practicing this form throughout the rest of my life! As I happily continue to deepen my understanding and dedication to Wild Goose Qigong, I am delighted to bring to each class my experience of being a lifelong student, and step into the new role of Practice Assistant.